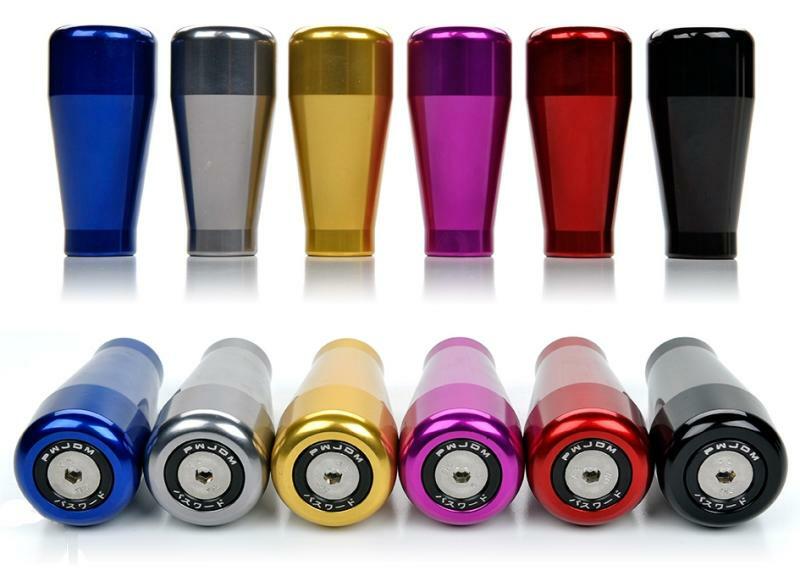 A shift knob is often the most overlooked mod you can get for your car. It’s more than just the way it looks… it’s also the way it feels in the palm of your hands and while you’re driving. Too light, and it feels like a ping pong ball, too heavy and it feels like a brick that will break something. Ideally, you’d want something in between… this is why we came up with the PWJDM Balanced Shift knob. This shift knob by design was well thought out… just like all of our products, we engineer things thoroughly and well ahead of the competition. Putting a name on a product is something we take seriously here at PWJDM. Ergonomically designed and optimally balanced to 6.1oz, the PWJDM Balanced Shift knob is the perfect item for any Honda with a manual transmission. Through all the prototyping and testing we did… we found 6.1oz to be the magic number for a shift knob on a FWD car. At 6.1oz, the PWJDM Balanced Shift Knob perfectly pairs with the shifter rod length of any B, D, H or K series. It’s so well designed, that you can feel it while you’re driving. You don’t get that uneasy (I feel like something just broke) shifting feeling that’s common with a heavy knob or the insecure (am I really in gear?) feeling you get when a knob is too light. With the increased ergonomics of your driving experience… it will just make it that much more fun to roll your car around town. Made of aircraft grade 6061, the PWJDM Balanced Shift Knob comes completely anodized for corrosion protection. Besides the functionality of this design, there is also a feature that’s an industry first. You have the option to purchase a colored washer set that you can use to match the look of your vehicle. By switching out the colored washer, you can truly get unique look. Threaded to a metric10×1.5, this shift knob will fit many other vehicles besides Hondas. Ergonomically designed for the perfect driving feel. PWJDM designed, engineered, and manufactured in-house. Anodized billet 6061, Made in the USA. Metric 10×1.5 pitch, will fit Hondas and other vehicles with the same thread size.